The World Intellectual Property Organization is considering several different proposals to expand access to copyrighted information by persons who are blind or have other disabilities. The proposals fall into two different general approaches — a binding treaty that creates harmonized robust minimum exceptions for persons who are blind or have other disabilities, or a weaker “soft law” approach that permits but does not require exceptions, and only harmonizes the restrictions on the uses of those exceptions. (The texts and other analysis are available here http://www.keionline.org/r2r). This note provides the history, context, and current status of these negotiations, which began, at WIPO and UNESCO in 1981, and which were reinvigorated by the 2006 UN Convention on the rights of persons with disabilities, and restarted in earnest at WIPO in 2008. The note also provides analysis of the competing approaches, and links to more detailed discussions and source documents. Since 2007, KEI has worked closely with the World Blind Union and other disabilities, consumer protection, public interest and development NGOs on measures to expand access by persons with disabilities to copyrighted works. Access to knowledge is fundamental to achieve many things, including education, scientific progress, participation in democratic institutions and cultural affairs, and employment opportunities. For persons who are blind, visually impaired or who have other disabilities, there are many barriers. Books, articles and other documents that are printed on paper or even in some electronic platforms (such as a Nook or Kindle reader with text-to-speech missing or disabled) may be impossible or difficult to see or perceive. In order to overcome such barriers, a number of technologies have been developed. Louis Braille invented the Braille alphabet in 1829, empowering visually impaired persons to read, originally by using embossed paper Braille. Some works are printed in large type for persons who are partially sighted. Analogue audio recording machines are used for create audio books. More recently, digital computer technologies have vastly expanded the opportunities to make works accessible for persons with disabilities. By acquiring copies of works stored digitally from the original publisher, or keyed-in or scanned and converted with optical character recognition, subject to corrections, by volunteers or third parties, it is possible to distribute documents in a variety of formats that can be used in many different digital readers. One such technology is the refreshable Braille display, which produces Braille by raising and lowering pins in response to an electronic signal. There are numerous software programs that can convert text to refeshable Braille output, or which convert text to audio speech, or publish works in large print text. There also exist technologies and solutions to address other reading disabilities, such as for persons who have physical disabilities that prevent them from turning the pages of a book, or persons with a variety of reading disabilities such as dyslexia, or various comprehension problems. One important aspect of the new information technologies is the ability to create works that can be navigated more efficiently. For example, works that are published in the DAISY format use digital tags on data to allow the user to skip or return to chapters or sections of a work. Some DAISY readers permit users to bookmark specific locations, including the ability to include text or voice annotations to accompany the bookmark. There is no single solution for visually impaired persons, but rather a plethora of rapidly evolving technologies that have great utility or promise for serving the diverse needs of visually impaired persons. Most books, articles and other documents are created for persons who have no reading disabilities, and without any thought or special effort to make works more widely accessible. There is some growing sensitivity to the issue, and a number of works are now formated in ways that increase access, or provide a less burdensome path to convert to new accessible formats. Publishers also sometimes publish works in multiple formats, including for example, audio versions of best selling authors, for persons who listen to books while they commute. The development of digital texts has also given rise to a new generation of digital publishing platforms. There are many popular formats for publishing documents for use on computers, such as web pages formated in html, Portable Document Format (PDF), documents formated in Microsoft .doc or .docx formats or the Open Document Format (ODF), as well as a plethora of new eBook formats, such as ePub, .mobi, or the proprietary Amazon Kindle format, to mention a few. These new digital format can in turn be used a growing number of new digital reading devices, including but not limited to those created specifically for reading books, like the Amazon Kindle, the Barnes & Noble Nook or the Sony Reader, as well as multipurpose devices such as the Apple iPAD or various Android phones. The electronic book should be a boon to people with disabilities. Unfortunately, the nascent eBook industry has often soundproofed its books, preventing access by people with visual and learning disabilities using adaptive technology. Persons using synthetic text-to-speech technology or electronic braille systems are not allowed access to the underlying text of the eBooks, and thus are cut off from the content. The leading eBook technology providers, Adobe and Microsoft, have provided the option to disable disability access in their publishing systems, at the request of publishers. This is not because of an explicit effort to deny access to the disabled community, but rather is due to concerns over audio book rights and enabling piracy of book content. Kerschner and Fruchterman were writing to explore the consequences of the new soundproofing technologies on the rights of persons with disabilities. In doing so, they explained that while in many cases digital work were a large positive for access, in other cases they presented new challenges, as digital rights management (DRM) systems could make digital works even less accessible than books published in paper, because they could not be scanned to create accessible digital copies. Some of the newer digital readers, like the Apple iPAD, have made an effort to be more accessible to persons who are blind, while others, like the Kindle, are insensitive to persons with disabilities. The Kindle did not enable text to speech in menus, and allows authors or publishers to turn off the text-to-speech capacities of the reader. The Nook reader does not have any text-to speech capability. Text-to-Speech has been deliberately disabled for the Kindle title. (Last checked on March 8, 2011). President Obama is not alone in disabling text to Speech in the Kindle. So has Joe Biden, in the Kindle edition of his 2008 book, Promises to Keep. John McCain disabled text to speech in the Kindle edition of Character Is Destiny: Inspiring Stories Every Young Person Should Know and Every Adult Should Remember. Malcolm Gladwell disabled text to speech in the Kindle edition of books such as The Tippling Point, Blink, Outliers and What the Dog Saw. The historian Joseph J. Ellis disabled text to speech in the Kindle editions of Founding Brothers, American Creation, and other books. James Gleick has disabled text-to-speech in the Kindle edition of his 2011 book, The Information: A History, a Theory, a Flood. Text to speech is disabled in the Kindle edition of Stieg Larsson’s The Girl with the Dragon Tattoo. In some cases, including the examples given above, readers can obtain an audio version of the books, read by the author or a professional actor. But the audio versions are often significantly more expensive, sometimes abridged, and much more difficult to navigate, for persons who want to skip sections, locate phrases or key words, or bookmark text. Both audio books and ebooks are also often available in a limited number of countries. On the whole, the introduction of ebook readers is a very hopeful development for persons with disabilities, and over time, it will likely lead to more equal opportunities for persons with disabilities. But it is of course quite limited at the moment, in terms of titles that are available, and often ebook readers have their own accessibility issues, such as the Kindle’s lack of accessible menus, or the disabling or lack of text-to-speech functions in the Kindle and the Nook. Even today, many books are not available in ebook formats. For example, Paul Starr’s 2005 book, The Creation of the Media: Political Origins of Modern Communication, is only available in paper formats. For older titles, including the millions of “orphaned” works for which no one can identify or locate the right holder, the availability of digital works will have to take place under statutory or court supervised exceptions to the authors exclusive rights. While new information technologies have created new opportunities, there continue to be many barriers to making available works in formats that are accessible to persons with disabilities. Copyright. Efforts to license works from authors or other copyright owners have met very limited success. Many publishers do not respond timely or at all to licensing requests. Negotiations may introduce complex and sometimes inconsistent obligations on libraries that serve persons who are blind or have other disabilities. And, for older works, it is often difficult to identify and locate right-owners. All of these problems are multiplied when a request involves the export of works across national borders. As a consequence of the well known barriers to the licensing of works, many countries have adopted exceptions to the exclusive rights of the copyright owner. Unfortunately, while nearly all high income countries have statutory exceptions, many of them quite strong, many developing countries have no exceptions, and in several countries, the national exceptions are quite narrow, such as those that are limited to Braille only, or exceptions that are limited to the use of a work in the premises of a specialized library. Because it is well known that most books and other documents are not accessible to persons with disabilities, there is a tradition of specialized charitable or government run organizations that support the creation of works in Braille, analogue audio books, and various digital formats, that in turn are distributed exclusively to persons with disabilities. In many countries, these organizations operate under a national law that allows the creation and distribution of the accessible works to persons with disabilities without the permission of copyright owners. In some countries the government pays royalties to copyright owners. In other countries, including the United States, the works are distributed without remuneration to copyright owners. Despite advances in technology, and the existence in some countries of robust exceptions to copyrights, only a small fraction of existing published works are available in formats that are accessible to persons who are visually impaired. The reasons for this are several, but the major culprit is economic — the high costs. Cost. The labor involved in making a new text accessible varies considerably. For a simple audio books, the technology consists of a a reader, often a volunteer, a microphone, and a recording device, working sometimes with technical production and editing staff. For newer digital works, the costs vary considerably, depending upon the formats in which the work is originally published, as well as the complexity of page layout designs, and the willingness to invest in greater functionality to make the works easier to navigate and understand, and to eliminate errors. Optical scanning technologies have improved considerably, but are still prone to errors, and render documents in simple formats that lack important accessibility and navigation features. The costs of creating a high quality and easy to navigate DAISY edition of a book may run into thousands of dollars. In 1981, the governing bodies of WIPO and UNESCO agreed to create a Working Group on Access by the Visually and Auditory Handicapped to Material Reproducing Works Produced by Copyright. This group meeting took place on October 25-27, 1982 in Paris, and produced a report that included model exceptions for national copyright laws. (UNESCO/WIPO/WGH/I/3). An accessible copy of this report is available here.. In December 1983, the Executive Committee of the Berne Union and the Intergovernmental Committee of the Universal Copyright Convention decided, each on its own behalf, to ask states to provide comments on the “Model Provisions Concerning the Access by Handicapped Persons to the Works Protected by Copyright,” which was drawn up by the October 1982 Working Group on the subject convented jointly by UNESCO and WIPO. Although scarce resources to meet the multi-faceted needs of the handicapped is a chronic problem throughout the world, it is respectfully submitted that negotiations on a voluntary basis cannot produce satisfactory solutions ,The production of even one special media material or service requires the permission of the copyright owner. Many owners, quite correctly, feel that they are under no social obligation to give their property away and that this kind of social obligation is more appropriately met by society as a whole. In short, owners think it is unfair to isolate them for a compulsory charitable donation of property. Generally, copyright owners readily grant permission, often without charge. However, there are refusals. There are also lengthy delays in obtaining permission and conditions attached to the permission, such as restrictions on the extent of the use and the distribution of the materials and services. From the handicapped users perspective, the obtaining of permission is an expensive and frustrating exercise. Ms Wanda Noel, Barrister and Solicitor, Ontario, Canada. One possible way to solve both the production and distribution problems would be to create an entirely new international instrument addressing both matters. Such a “convention” would provide that the Contracting States permit the production of special media materials and services within their borders in accordance with the terms set out and, in addition, permit the free circulation of those materials and services amongst Contracting States. Additional matters covering costs of production and appropriate safeguards for creators would have to be carefully developed to achieve an acceptable balance between the competing interests. In this context it is of the utmost importance to note that there are only a few producing countries, the most notable of which is the United States of America. To develop a successful international system of the kind envisaged will require the cooperation and good will of the producing countries in particular. The United States should be complimented for its sensitivity to the needs of its own handicapped citizens. The services provided by the Library of Congress set a standard for the world. This sensitivity could be shared around the world provided the costs of the system are borne by those wishing to benefit from it. In this context, the Report of the Intergovernmental Committee of the Universal Copyright Convention with respect to its 1983 meeting, in paragraph 104, states that the delegation of the United States of America noted “the importance of the role of libraries and the necessity to facilitate sharing materials for the handicapped among libraries in developed and developing countries”. It is difficult to argue with the position of the handicapped when they seek to avoid the wasting of resources when the same book has to be recorded or transcribed into braille more than once. Those concerned may wish to consider this approach. Finally, apart from an international initiative the notion of a new and separate international instrument could also be pursued on a bilateral basis. Any two countries can enter into an agreement to provide for the production and distribution of special media materials between themselves. Following the Noel report, very little was done at WIPO on the disabilities issue. In the late 1980s and early 1990s, WIPO was faced by a new challenge when several high income countries sought to shift intellectual property rights norm setting to the newly created World Trade Organization, and a number of new initiatives were launched to tighten global rules for intellectual property protection. WIPO then launched an effort to adopt five new copyright and related rights treaties, covering the topics of the digital agenda for copyright (the WIPO Copyright Treaty, or WCT), a new treaty for Performances and Phonogram producers of phonograms (WPPT). and proposed treaties for the protection of non-copyrighted elements of databases, for performers, and broadcasting and webcasting organizations. Two of the new treaties were adopted in 1996, and negotiations on the other instruments dominated the WIPO work program on copyright from 1996 through 2007. (See Timeline of privileges regarding the commercialization and use of knowledge, Part 2: 1980 to 1999, and Part 3: 2000 and after.). So, what do we need from WIPO and other international bodies? 8.3.1. We need international treaties that allow the creation of non-commercial alternative, accessible versions and their free flow across international boundaries. 8.3.2. We need national legislative regimes that are harmonized to ensure consistency for organizations, individuals and right holders, protecting rights holders from exploitation and protecting visually impaired people and their agencies from unjustified barriers. 8.3.3. Equally, however, we need international treaties and harmonized national legislation which empowers member states to oblige rights holders to make available to bona fide blind and partially sighted people, and agencies working on their behalf, accessible versions of material ordinarily presented to the public wrapped in any form of rights management scheme, or protected by some other technological measure which renders them inaccessible to us. 143. The representative of the World Blind Union (WBU) welcomed the consideration of other issues by the SCCR. The topic of fair use in copyright and related rights deserved special attention. Consumers such as libraries, schools and disabled persons, such as the visually-impaired, had an equally valid interest in having access to protected material. He reminded the Committee that some national legislation in developing countries did not include exceptions to copyright and related rights to facilitate blind people’s access to work. He asked WIPO to include that aspect in its legislative advice to developing countries. Also, material in electronic form could easily be transferred between different countries, but that was not possible for legal reasons. That meant unnecessary duplication of work. Another issue was the application of technological measures of protection that hindered the digital modification of content to make it accessible for disabled persons. He asked for WIPO’s support in studying these issues. David Mann of the WBU continued to press the WIPO Secretariat and the SCCR to deal with these issues. (See: Timeline: Addressing Copyright Related Barriers to Overcoming Reading Disabilities). (b)	International treaties and conventions relating to copyright provide a framework that is complex and confusing for those drawing up exceptions to rights for the benefit of visually impaired people, but they do not oblige countries to make any provision. Further debate is desirable on this issue in the long term. (c)	International agreements relevant to the rights of disabled people may in any case require countries to take the needs of visually impaired people into account when framing their copyright laws. States Parties shall take all appropriate measures to ensure that persons with disabilities can exercise the right to freedom of expression and opinion, including the freedom to seek, receive and impart information and ideas on an equal basis with others and through all forms of communication of their choice, as defined in article 2 of the present Convention, including by a) Providing information intended for the general public to persons with disabilities in accessible formats and technologies appropriate to different kinds of disabilities in a timely manner and without additional cost . . .
States and, as appropriate, in partnership with relevant international and regional organizations and civil society, in particular organizations of persons with disabilities. . . . The proposal by Chile was part of a larger movement to change the mission and activities of WIPO that most recently began with a 2002 negotiation over the terms of a proposed Beijing declaration on intellectual property, and a dispute in 2003 over the USPTO efforts to block a WIPO meeting on the supply of knowledge as an open collaborative public good. WIPO was under intense pressure to become more open, transparent, and open to consumer interests, development concerns and new thinking about innovation. Proponents of change included a broad coalition of developing countries and of consumer, development, public health, human rights, digital rights, free software and library NGOs, working at times with academic experts and technology firms. In 2004 Brazil and Argentina proposed a WIPO Development Agenda, which combined a wide range of reform ideas, including but not limited to consideration of a possible treaty on access to knowledge. 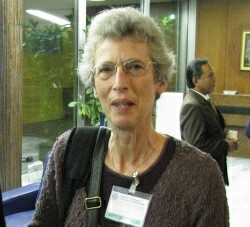 Models for a possible treaty on access to knowledge included a 2004 proposal by the late Stanford Professor John Barton, and a more ambitious text created by a collaboration with more than 80 negotiators, academic experts, NGOs and technology firms, in two meetings held in in 2005. The May 10, 2005 proposal for an access to knowledge treaty was very broad, covering patents, copyrights and the models for the supply of knowledge as public good. In September 2007, the WIPO General Assembly unanimously adopted 45 recommendations to implement a “Development Agenda” at WIPO, setting into motion a new mandate and work program for WIPO. The rights owner lobby was stunned at the rapid changes at WIPO, and began to right back, by pushing to create a new institution through a misnamed “Anti-Counterfeiting Trade Agreement” (ACTA) and other forum shifting strategies. For better or worse, the WIPO negotiations on a new treaty for persons who are blind or have disabilities would subsequently be seen as part of this larger reform effort. On the other hand, some developing countries, NGOs and technology firms saw the WIPO treaty for disabilities as a narrow and disappointing conclusion to a broader reform effort that left out the topics of importance to the broader population. Richard Stallman, the founder of the Free Software Foundation, initially opposed the treaty because only provided for exceptions for persons with disabilities and accepted the use of TPM/DRM technologies to exclude others. Some academics and development groups questioned its importance. Sensing the treaty had legitimacy in high income countries, some developing countries explored linking progress on the treaty to work on the broader access to knowledge treaty. While the WIPO treaty for disabilities was itself a practical and narrow measure that addressed issues first highlighted at WIPO in the 1980s, the politics of WIPO reform would continue to complicate the negotiations. Publishers: WIPO has more in common with Velcro than slippery slopes these days. It is difficult to move anything. The copyright right holder’s big problem is not that blind people can more efficiently distribute their work in making works accessible, but rather than copyright is not widely respected or obeyed by the general population. Attacking a vulnerable population and saddling it with unworkable provisions is not going to enhance the reputation of the copyright system, or breed more respect for the law. As noted by even the US government in 2009, a system of workable, fair, and reasonable exceptions to copyright should be part of any longer term strategy to enhance the enforcement of the copyright laws. Access to knowledge advocates: This is fundamentally about human rights. The world was recently mobilized to expand access to AIDS drugs, even though most people don’t have AIDS. The crisis for access for persons who are blind or have other disabilities has many things in common with the AIDS crisis. Most people who are blind live in poverty in developing countries. Access to knowledge includes people with disabilities, and we have an obligation to remove barriers to their efforts to obtain that access, particularly when the economic costs are zero or even negative for the cost saving associated with work sharing. If a treaty as compelling as this cannot get done at WIPO, it will undermine the notion that investments in WIPO reform were worthwhile. Doing a good job on this treaty, and expanding access for the target population without unreasonably prejudicing the market for copyrighted works outside of the target population will be a confidence building measure and a useful demonstration of how policy makers can solve problems, rather than create them. The WIPO negotiations from 2008 to 2011. On July 24-25, 2008, the World Blind Union (WBU) and Knowledge Ecology International (KEI) convened a two day experts meeting on copyright exceptions for persons with disabilities, at the KEI offices in Washington, DC. Attending the meeting were government negotiators from Chile and Kenya, disabilities groups from India, the UK, Canada and the United States, several U.S. library organizations and U.S. law professors, and Judith Sullivan, the WIPO consultant on copyright disabilities, and representatives from the international DAISY Consortium, the WBU, the IFLA, and KEI. The two day meeting was convened to see if it were possible to draft a proposed treaty to address the need to raise the minimum level of user rights and facilitate the cross border exchange of accessible works created under copyright exceptions, for persons with disabilities. The following are some highlights from the experts report. Coming into the meeting, KEI presented a working draft that was based upon a WIPO model provision for copyright exceptions. The WIPO provisions were considered too restrictive by several members of the experts group, and the new provisions were drafted that more closely conformed to the provisions then in effect in the United States, Canada, Australia and several European countries. The U.S. groups in particular did not want provisions in the treaty that were more restrictive than the Chafee Amendment, a robust exception in U.S. law for “authorized entities” use copyrighted works without permissions from right holders. Developing countries representatives were concerned that some standards for reasonable pricing of works would be inappropriate in a developing country context, where unemployment was widespread among blind persons, incomes were very low, and state subsidies very limited. The group dealt with the relationship between DRM/TPM technologies and exceptions (a topic addressed in exceptions in the United States and many European countries), and the possible conflict between exceptions and contracts. The experts discussed the issue of remuneration for work (not required in most high income countries), and its impact on any global distribution system. The issue of the use of exceptions by for-profit entities was discussed in some detail, in the context of Google having recently digitalized millions of English language works in accessible formats. The definitions regarding the disabilities to be covered was debated at some length. Originally the proposal was to address the access needs of persons who were blind or visually impaired. This was later expanded to include other disabilities, including for example, persons with physical disabilities that prevented them from using books. The group drafted much of the proposal in the two day meeting, and then used a private listserve with an extended group of experts and disability groups to resolve the outstanding issues. (A report of the meeting is available in several formats. ). In the end, the expert group recommended a 9 page text containing 20 articles. The draft was built around a robust non-profit exception that was similar to the exception in place in many high income countries, including the United States, with an optional but more limited and restrictive exception covering for-profit entities. The disabilities to be included were extended beyond visually impaired to “any other disability who, due to that disability, need an accessible format of a type . . . to access a copyright work to substantially the same degree as a person without a disability.” DRM/TPM technologies and contracts would not undermine the exception. There was no remuneration for use of the exception by non-profit entities, but for-profit entities using the more restrictive exception would be required to pay royalties to copyright owners. The WBU distributed the draft by email to WIPO negotiators in October 2008, sent a letter to the WIPO Director General Francis Gurry, and presented the proposal at the November 3, 2008 to November 7, 2008, meeting of the WIPO SCCR 17 On November 4, 2008, the WBU and KEI held a side event on the Right to Read. The WBU proposal was widely anticipated at the SCCR 17 meeting. But coming as a complete surprise was a counter proposal by IFFRO, a collection society representing publishers, to create a “stakeholders platform” to explore voluntary negotiations to address the access issues. IFFRO had not contacted the WBU or any other other disabilities group before the meeting to discuss their proposal, but clearly the WIPO Secretariat, the United State and the EU negotioators were both briefed and ready to aggressively offer their support for WIPO to endorse the voluntary effort. The WBU felt obligated to agree, on the spot, to participate in the Stakeholder Platform, with the caveat that it was not to be seen as an alternative to work at WIPO on a legal instrument dealing with mandatory exceptions. The Committee acknowledged the special needs of visually impaired persons and stressed the importance of dealing, without delay and with appropriate deliberation, with those needs of the blind, visually impaired, and other reading-disabled persons, including discussions at the national and international level on possible ways and means facilitating and enhancing access to protected works. This should include analysis of limitations and exceptions. This should also include the possible establishment of a stakeholders’ platform at WIPO, in order to facilitate arrangements to secure access for disabled persons to protected works. A number of delegations referred to a paper presented by the World Blind Union (WBU) and expressed interest in further analysing it. In order to further complement the information on limitations and exceptions in national systems, the Secretariat will prepare a draft questionnaire which will be submitted for comments to the Member States before the next session of the SCCR. The areas covered by the questionnaire should include limitations and exceptions related to educational activities, activities of libraries and archives, provisions for disabled persons, as well as digital technology in the field of copyright. On April 2009, the U.S. Copyright Office and the U.S. Patent and Trademark Office (USPTO) organized the first joint request for comments on the WIPO Treaty for Reading Disabilities. The April 2009 KEI submissions are available here. On November/ December 2009, the U.S. Copyright Office and the U.S. Patent and Trademark Office (USPTO) organized a second joint request for comments on the WIPO Treaty for Reading Disabilities. However, there were also other signs the new Administration would be conservative, and close to big corporate holders of intellectual property rights. President Obama and his wife had both once represented big corporations in the intellectual property right practice of Sidley Austin. Obama’s chief of staff was Rahm Emanuel, and his brother Ari Emanuel was CEO of William Morris Endeavor Entertainment, and Ari is an aggressive advocate of more restrictive approaches to copyright enforcement. Vice President Biden was extremely close to the copyright industry (More here). Also, as would later be reported by the LA Times and the New York Times, almost immediately upon taking office, President Obama and Ralm Emanuel began a number of secret meeting with Pfizer CEO Jeff Kindler and the CEO of PhRMA and other big drug companies, to cut a deal that would involve PhRMA political support and more than $150 million in advertising on behalf of the Obama health care legislation (much of it placed by PhRMA with public relations firms that worked on the Obama campaign), in return for giving PhRMA almost everything it wanted in the health care reform bill. And, shortly after taking office, the White House announced it would push for a number of tough enforcement measures for intellectual property rights, including a secret negotiation for a controversial new Anti-Counterfeiting Trade Agreement (ACTA). After the election, KEI met with members of the transition to discuss the WIPO treaty, but the focus of the transition team was largely on personnel, rather than policies. The first real test of the new Administration came in June 2009, at WIPO SCCR 18. Brazil, Ecuador and Paraguay formally introduced the treaty proposal, based upon the WBU draft. There was also a progress report on the WIPO “stakeholders platform” discussions between three trade associations representing some publishers (the IPA, STM and IFFRO), and several disabilities groups. Most high income countries, including the members of the Europe Union, the United States, Japan, Australia, New Zealand, Norway, the Holy See and Canada, coordinated their positions in WIPO’s “Group B.” The Group B position was to block work on the treaty, on the grounds that it was “premature,” and/or not needed, and to use the stakeholder’s platform discussions as an excuse to block work on a binding legal instrument. The position by Group B attracted considerable negative attention in blogs and the technology trade press, and with strong support from developing countries, the discussions on the treaty were continued to the next scheduled meeting in December of 2009. (See: Views on the outcome of WIPO SCCR 18: Brazil, Ecuador and Paraguay Treaty for Reading Disabilities). After the SCCR 18 meeting, the Obama White House created an inter-agency group to review the position on the treaty proposal. As noted above, publisher lobby groups opposed the treaty because it would “break the paradigm” of agreements that were designed to set minimum rights for right holders and maximum exceptions for consumers. There was almost no money at stake, given the relatively small number of persons who would likely benefit from the treaty, and the unfortunate lack of interest by the private sector in serving this market. But the WBU draft proposal presented a new way of norm setting at WIPO that publishers feared would be extended into other areas. This fear was related in part to a proposal in 2005 for ambitious treaty for access to knowledge, and the broader work agenda at WIPO on copyright limitations and exceptions, which included special attention to education and libraries — markets of considerable interest to publishers. Association of Learned and Professional Society Publishers (ALPSPS), African Publishers Network (APNET), Asia Pacific Publishers Association (APPA), Bureau International de Societes Gerant les Droits d’enregistrement et de reproduction mecanique (BIEM), International Confederation of Societies of Authors and Composers (CISAC), European Newspaper Publishers’ Association (ENPA), European Publishers Council (EPC), EUROCOPYA, European Writers’ Council (EWC), Federation of European Publishers (FEP), Federation of European Film Directors (FERA), International Federation of Actors (FIA), International Federation of Associations of Film Distributors (FIAD), International Federation of Film Producers Associations (FIAPF), International Federation of Journalists (IFJ), International Federation of Musicians (FIM), International Confederation of Music Publishers (ICMP), International Federation of Reproduction Rights Organizations (IFRRO), International Federation of Scholarly Publishers (IFSP) International Federation of the Phonographic Industry (IFPI), International Group of Scientific, Technical and Medical Publishers (ISTM), International Publishers Association (IPA), International Video Federation (IVF), Independent Film and Television Alliance (IFTA), Independent Music Companies Association (IMPALA), and the World Association of Newspapers (WAN). While the publishers were digging in against the treaty, the US government had crafted a new much more open position, which was presented at SCCR 19. We believe that a solution to the problem of cross-border distribution of special format materials, properly delineated to prevent abuses, would solve the foremost problems identified by the print disability and visually-impaired communities. The change in the US position, which was largely due to the efforts to Susan Crawford, Andrew McLaughlin and Arti Rai, received a great deal of attention in the trade press and technology blogs (See, for example, stories in Wired and IP-Watch), and among publisher groups. Publishers were dismayed by the US statement at SCCR 19, but seemed to have substantially turned things around within months. While the US government was now officially open to a treaty, behind the scenes it was again working to stop the treaty. There were several reasons for the setback. Susan Crawford and Arti Rai left their government jobs and went back to their Law Schools. As Crawford and Rai left, the role of Justin Hughes at USPTO became more important. Hughes was described by one USPTO official as “someone who talked to the publishers every day,” and was brought in to make the publishers “more comfortable with the negotiations.” Hughes routinely bypassed and excluded career civil servants in the negotiations, and was said to derive his authority in the negotiation directly from the White House. A Cardozo Law Professor working part time for the USPTO, in 2010, Hughes also became a candidate for the job of Register of Copyrights, a position that was closely watched by the publisher lobby. The proposal referenced word for word terms in the WIPO stakeholder platform, which was of course, not a statutory right, but the outcome of a high pressured negotiation between corporate lawyers for publisher trade associations and organizations representing blind persons for voluntary licenses. The US proposal specifically excluded any works created by for-profit entities, and it implied conditions that no government currently requires for entities providing services to persons with disabilities. While the US proposal had no binding requirements to take actions to expand access to works, it included a set of conditions that had the practical effect of shrinking the flexibility that exists in current treaties and trade agreements, by creating a new and more restrictive standards that would prejudice a “three step test” for any national legislation dealing with imports or exports of works. If the US proposal was adopted, persons with disabilities would be objectively worse off legally, and face significant barriers to obtaining access to works created under legislative solutions for orphaned copyrighted works. After making the proposal to WIPO that a non-binding soft recommendation to authorize cross border sharing of accessible works was going to be a big deal, the White House and the USPTO made exactly zero efforts to implement such agreements at the national level and never bothered to include such provisions in bilateral or regional trade agreements. In 2009, the European Commission was on automatic pilot at WIPO, opposing nearly anything the copyright owner lobby opposed, without bothering to seriously justify its position to the European Parliament or the Public. A handful of European countries with publisher lobbies were pushing the Commission to kill the treaty, but given the minuscule impact of the treaty on publisher revenues, and the fact the nearly every European country already has a robust domestic exception for disabilities, it was extremely difficult to explain the EC’s opposition to such an obviously useful measure for persons who live with blindness or other disabilities. In the end, the EC’ opposition to the treaty was less about the economic interests of the European Union, than large organization dynamics, and the role of bureaucrats who perceive their mission as an advocate for narrow corporate interests that has some domestic presence, without a real assessment of the impact of the decisions on other national interests or values. The decision makers in Europe are dealing with an economically unimportant topic that concerns the human rights for a vulnerable population. It is necessary for high placed political leaders to engage, express outrage and correct a wrong headed and morally repugnant course. When the Obama Administration announced a change in position in November 2009, it was clear that the European Union opposition was about to collapse. However, a close technical reading of the November 2009 Obama position make it clear that nothing had really been decided, and the June 2010 proposal by the Obama Administration, coupled with its rough talk in private diplomatic conversations and transparent efforts to back the Stakeholder Platform as a model for action sent a signal to the European Commission that the White House was in fact (1) seeking a minimalist outcome for persons with disabilities, and (2) using the negotiations to create a precedent more favorable to publishers than the status quo. Not only did the European Commission not end its opposition to the treaty, but it made an even weaker proposal than the Obama White House — one that among other things, would give publishers the right to withhold their consent to cross border movements of accessible works, something that few if any European countries do now. On March 6, 2011, from MEP David Hammerstein provided an interview discussing the position of the European Commission on the WIPO treaty for persons who are blind or have other disabilities. Question 6. Are you aware of any lobbying by the United States government on this treaty? For example, has the United States government coordinated its efforts with the European Union, or meet with European groups representing blind persons? And what is the message regarding the treaty from the United States government? Answer 6. The US Government is lobbying heavily in Europe against a legally binding treaty. Justin Hughes has been in a number of European countries, including Spain and UK, speaking with blind persons groups about why a voluntary agreement or recommendation is a better solution. He even has spoken with a number of foundations looking for extra financing for the “stakeholders platform” agreement. This is very much in line with the European Commissions stance and actions. Question 7. Thank you. Is there anything else you would like to say about the negotiation on the WIPO treaty for persons who are blind and have other disabilities? Answer 7. It is difficult to counter the arguments of the industry-EU-US coalition against the Treaty because they simply present no arguments. Privately they all admit that their opposition is due to ideological reasons, due to the precedent of approving an exception to copyright, than any serious defense of threatened right-holder rights. All they claim lamely and without any proof that if they give in on this issue, others will demand new, more radical exceptions. Really, this unethical coalition remote-controlled by dozens of well paid lobyists has not put forward one solid economic or legal reason to oppose this treaty. In effect, they are just crudely using the world´s blind and visually impaired as human shields against any common sensical change in international copyright law. Sadly, they are giving a vivid example of what WIPO Director General Francis Gurry recently called the “classical copyright world´s sorry luddite resistance instead of enlightened engagement”. It is hard to believe they can be so rigid, insensitive and short-sighted. Let´s hope they change course before June´s WIPO special session on this issue. The European Union has ratified The UN Convention on the rights of persons with disabilities that commits the EU to guarantee the right to access to culture and reading material. In particular, Articles 21 and 30 of the Convention state that governments should take whatever legal measure necessary to provide more equal access to culture, education and reading material for persons with disabilities. At present only a very small fraction (between less than 1% and 5%) of published books are available in accesible digital formats for visually impaired and print-disabled persons in Europe, and far less in low income countries. This is despite the fact that state-of-the-art technology could provide much greater cross border access. To confront this problem of “book famine” the World Blind Union and the European Blind Union have proposed an international Treaty at the World Intellectual Property Organization to facilitate the cross-border movement of reading material in formats accessible for persons who are blind or have other disabilties. This initiative at WIPO has been opposed by the European Commission in contradiction with its legal obligations under the Convention of the rights of persons with disabilities. The EC´s alternative to a legally binding solution are stakeholder agreements and a voluntary recommendation by WIPO that are deemed wholly insufficient by the European blind community. Does the Commission consider the EU´s opposition to legally binding solutions for the lack of access to reading material for the print-disabled compatible with its obligations under the Convention on the Rights of Persons with Disabilities? The European Parliament is expected to have a vote on the European Union position on the treaty sometime in the next few months. Virtually all developing country groups have expressed support for a binding treaty that would expand access for persons with disabilities. The WBU proposal was first tabled by Brazil, Equator and Paraguay, and later co-sponsored by Mexico, a member of NAFTA. Throughout the negotiations, the treaty has had strong support from the Latin American and Caribbean Group (GRULAC). The Asia Group has supported work on a treaty for disabilities. The Africa Group has supported the substantive provisions in the WBU treaty proposal, as part of a larger agenda. In June 2010, the Africa Group tabled SCCR/20/11, titled “Proposal by the African Group: Draft WIPO Treaty on Exceptions and Limitations for the Disabled, Educational and Research Institutions, Libraries.” The elements of the Africa Group proposal dealing with disabilities were very similiar to those in the WBU draft that was earlier tabled by Brasil, Equator, Mexico and Paraguay, in a draft expanding the scope of the agreement, particularly as regards exceptions for libraries and education. A considerable amount of negotiation took place between the Africa Group and others over the issue of linking the different elements together into a single package. Many delegates and NGOs wanted the issues to be considered separately, because, they either have different views of the specific provisions, or they are concerned that the larger package is more difficult to act upon. The Africa Group, over the course of several SCCR meetings, make it clear that it expected the SCCR to take up its issues regarding education, and libraries, and was reluctant to agree to have the disabilities issue move forward on its own. WBU suspends participation in the WIPO Stakeholder Platform and EU Stakeholder Dialogue projects, pending agreement at WIPO on a proper binding legal framework. . . There were several reasons motivating the WBU to suspend the WIPO and EU stakeholder talks. One concerned the restrictive nature of the contracts presented by the publishers, that created very onerous obligations on online libraries serving blind persons, and which presented significant financial liabilities for entities signing the contracts. A second concerned the cynical way the publishers were using the stakeholder talks to undermine work on the treaty. In early 2011, several countries began to meet privately to discuss the negotiations. The first session was at the mission of Brasil in Geneva. The next informal negotiating session is reportedly scheduled for April 15, 2011, at the US mission in Geneva. The basic outlines of the informal negotiations concerns the following issues. One or two stages: Will WIPO work toward a diplomatic conference to consider a binding treaty, or adopt a “two stage” process whereby WIPO considers first something other than a treaty as a possible step towards at treaty? In the two stage scenarios, the US and the EU would likely seek to introduce language that required cross border imports and exports to take place within the framework of “trusted intermediaries,” a concept now unhelpfully defined on the WIPO web page in the context of the WIPO Stakeholder Platform. The argument in favor of a two stage negotiation is that it will be a confidence building step, and have immediate benefits in terms of increased legal certainty regarding the import and export of works under an exception. The argument in opposition is that it will actually slow things down by distracting negotiators from work on the more important blinding instrument, eliminate the urgency to deal with the treaty, and in the proposals by the US and the EU, would actually shrink legal options for imports and exports. Role of for-profit suppliers: The WBU proposal provides for the possibility of a limited exception for for-profit suppliers of accessible works. The US and the EU would not. The practical importance of this is illustrated by the fact that commercial firms will play a role in the digitalization of millions of orphaned books and other copyrighted works. If for-profit companies are left out, persons will disabilities will have to rely upon governments and charities to make works available. Remuneration: Publishers are pushing for a right to remuneration for works created under exceptions, even by non-profit entities. Market alternatives. The US has proposed, contrary to US legal traditions, that even in the case of non-profit entities, the exception may be limited to cases where “the applicable special format, cannot be otherwise obtained in the country of importation within a reasonable time and at a reasonable price.” In practice, some disabilities groups say such provisions can lead to delays, legal uncertainty, and burdensome administrative costs, in resolving disputes over the the equivalence of formats, or the reasonableness of pricing. The WBU position is to provide an exception for non-profit services without such a market test, but to have such a market alternatives test for for-profit companies providing a for-profit service under an exception. Authorized, responsible or trusted entities: Publishers want to define, regulate and control trusted entities through contracts. The EU seems to favor this approach, and the US has pushed in this direction. Disabilities groups want suppliers of accessible formats to operate outside of publisher permissions and with government or statutory authority rather than publisher oversight. TPM/DRM: Disabilities groups want guarantees that they can circumvent DRM/TPM technologies to make works accessible. Publishers oppose such provisions. Contracts: Disabilities groups do not want contracts to override statutory rights. Publishers want contracts to trump statutory rights. Right to privacy: The WBU proposals includes, consistent with the UN Convention on disabilities, a right to privacy. Publishers are opposed to such provisions in copyright treaties. The next formal negotiation at the WIPO SCCR 22 takes place between June 15 and June 24, 2011, where WIPO will also discuss a possible treaty for performers and broadcasting organizations (two areas where a binding agreement is considered the goal by right-holders). Before June, the publishers and collections societies are pushing hard to gain a consensus that the treaty is premature, and WIPO should simply adopt a very minimal recommendation that does not require countries to take actions to improve domestic exceptions or liberalize export and import rules. The United States and the European Union, and to some degree, the WIPO Secretariat, is putting enormous pressure on disabilities groups to accept the two step approach, even though it is widely understood that this is an effort to kill the treaty, and is largely designed to provide a public relations benefit to the countries that want to block a diplomatic conference on the treaty. Timeline on selected relevant right to read developments.